Click here to join your fellow alumni and share what you're up to with your own class note. Lawrence Persick ’83 is the newest member of Weber Gallagher Simpson Stapleton Fires & Newby LLP’s Family Law Group in Norristown, Pa. Persick concentrates his practice in matters pertaining to family law—divorces, child support, custody disputes and adoptions. Steve Quinn ’74 was highlighted in the article “Steve Quinn: The scientific angler” in the West Central Tribune. 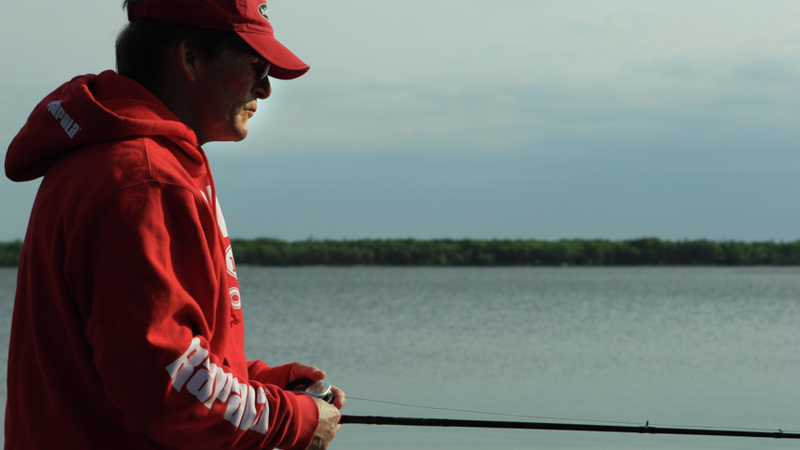 An avid fisherman, Quinn has penned countless words that have helped anglers across North America catch more and bigger fish and have more fun on the water. His credits include In-Fisherman magazine, lead editor for the annual Bass Guide, co-host of the In-Fisherman TV and radio series, and he has written and contributed to an extensive book series covering everything from bass to catfish to crappies. In addition, he continued to make scientific contributions and maintained his status as a certified-fisheries professional with the American Fisheries Association. Quinn was inducted into the Freshwater Fishing Hall of Fame in 2016 as a legendary communicator. Adam Quatrini ’09 married Carolina Vélez on Nov. 19 at Holy Family Catholic Mission in Rutherford, Calif. Adam is a lawyer at Quatrini Rafferty in Greensburg, Pa. His wife is an advocacy manager at Microsoft in New York and an adjunct professor at Washington & Jefferson College in Washington, Pa.
University of Maine graduate student Anna McGinn ’14 was highlighted by the Press Herald. In the interview, “Anna McGinn is headed to her fifth international climate change meeting,” she talks about her experiences at the United Nations’ climate change negotiations and how she is helping Maine students channel the needs of both far-flung countries and their own. David Decker ’90 was named executive vice president of Warner Bros. Domestic Television Distribution, adding oversight of station sales to his role. A fifteen-year veteran of Warner Bros., his prior positions include executive vice president, cable & SVOD sales and executive vice president, business & legal affairs for worldwide television distribution among others. Amanda Trimble ’09 completed a 3-year residency in large animal internal medicine, as well as, a master’s in biomedical sciences at Kansas State University. She writes, “I am now a board-certified specialist recognized by the American College of Veterinary Internal Medicine and am starting a post-doctoral fellowship in equine medicine at the University of Missouri. The National Association of Regulatory Utility Commissioners appointed Dallas Winslow ’66, chairman of the Delaware Public Service Commission, to its board of directors for a four-year term. Winslow worked for 30 years as the chief of legal services in the state of Delaware’s Office of the Public Defender. He is also a retired colonel from the Delaware National Guard and served in the Delaware State Senate from 1998 to 2002. In June, Colleen Haggarty Bunn ’04 accepted the position of director of residence life at Susquehanna University. She writes, “I am excited to be back in the small, liberal-arts college environment, and back in Central Pa.! A week before starting at Susquehanna, I defended my dissertation and graduated this past August with my Ph.D. in Educational Leadership from Miami University in Oxford, Ohio. I live in Selinsgrove with my husband Matt, and our daughter Amelia (1). Bryce Feibel ’15 was awarded the 2018 class of the Middle East and North Africa Regional Fellowship Program (MENAR). The MENAR Fellowship Program facilitates intercultural exchange by coordinating fellowships for recent American college graduates with both businesses and non-profit organizations in the Middle East. Feibel's placement is with Bayt.com in Amman, Jordan. Jonathan Epstein ’96 was recently awarded U.S. Patent #10,166,420 for a “Sensor Reservoir with Probe to Monitor, Measure and Control Fire Sprinkler and Other Systems,” a device he and his two partners have been developing since 2014. The device is designed to monitor the internal water temperature conditions of wet sprinkler systems, and using Internet of Things (IoT) technologies, alert building owners and activate heaters when the water temperature requires it. Currently, they are working with prospective buyers for the intellectual property. Chris Neary ’06 was appointed vice president of policy, research and advocacy in the Wilmington, Del., office of Cinnaire, a nonprofit community development financial institution that provides creative loans, investments and development services to support community development. He is responsible for the development, management and execution of Cinnaire’s public policy agenda, and the coordination of Cinnaire’s actions and work on policy matters at the state and national level. Previously, he worked as an economic policy advisor for U.S. Senator Jeanne Shaheen, crafting and advancing her legislative and policy agenda on economic issues. Jeffrey Bierlein ’03 was promoted to senior vice president, commercial banker at S&T Bank. He has a decade of experience in corporate real estate finance. He is responsible for leading new business development initiatives and complex commercial loans in central Pennsylvania and southeastern Pennsylvania. He is currently a student of the Stonier Graduate School of Banking and plays an active role in enhancing the Lancaster community as a participant in Leadership Lancaster. David Shotlander ’01 was promoted to partner at Haug Partners LLP. 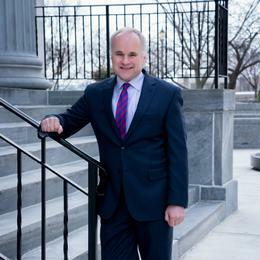 Joining the firm in 2014, his core practice is antitrust litigation, government investigations and counseling. He primarily represents pharmaceutical companies on matters involving critical and emerging antitrust issues and has also represented parties in merger and civil non-merger investigations before the Federal Trade Commission, Department of Justice, state attorney generals and foreign competition authorities. He has also been repeatedly awarded SuperLawyers® Washington, D.C. Rising Star. Kristen Cunningham ’16 completed her master’s in French at Middlebury College in the spring of 2018 and is working at the Middlebury School in Paris as the program assistant. After Dickinson, Maria Mei ’12 spent four years in Hong Kong working in advertising before moving to Seattle for graduate school in fall 2016. She graduated from University of Washington Foster School of Business with an MBA in June 2018 and is now working at Microsoft as a product marketing manager. Colette Tutino Smith ’03 and husband Paul are thrilled to announce the birth of their son, Chance Paul Smith. He was born Oct. 3 in Greenwich, Conn. His big sisters Evangeline Arielle (5) and Hennessey Scarlett (2) are so proud and excited! Jennifer Hradil ’94, a director in the Commercial & Criminal Litigation Department at Gibbons P.C., has been named one of Profiles in Diversity Journal’s “Women Worth Watching” for 2018, based on her sophisticated, wide-ranging commercial litigation and appellate practice, the leadership and innovation she demonstrates in that practice, and her dedicated community service, particularly in connection with the Gibbons Women’s Initiative. Ronald Hershner ’78, managing partner of Stock and Leader, LLP was honored by the York County History Center with the 2018 Heritage Profile Award. This award is in recognition of an individual who has made a lasting and significant contribution in preserving, interpreting, promoting, researching and extending the knowledge and understanding of the history of York County, Pennsylvania. Hershner is a past chair of the York County History Center board and of the Red Lion Area Historical Society board. He also served on the board of Historic York, Inc. He has authored four books on York County history and speaks frequently on topics of York County and American history. He and his wife Judy reside in Springettsbury Township. Olivia Lewis ’10 married John Arscott in July in Baltimore, Md. Two of her Kappa Alpha Theta sorority sisters: Kelsey Watkinson Whitley ’11 and Kelly Maurer were in her bridal party. Numerous Dickinsonians were also in attendance. She also started the post master’s certificate in applied behavior analysis at Johns Hopkins University School of Education. Christopher Reber ’80 is the new president of Hudson County Community College in Jersey City, N.J. He has spent 37 years in higher education, the last four at the Community College of Beaver County near Pittsburgh where he focused on growth and meeting the needs of the community. He previously served 12 years as the executive dean of Venango College of Clarion University where he was the chief executive and academic officer. Kaydi Bigelow ’08 married Marcel Mabson on March 31 in Taneytown, Md. Both the ceremony and reception were held at Antrim 1844, and they were joined by several members of the class of 2008. Kaydi, a fundraiser for Johns Hopkins School of Medicine, and Marcel, a software engineer for NASA, live in Baltimore, Md. Peter Allen ’07 and Missy Lafferty ’07 welcomed son, John “Jack” Lafferty Allen, on Feb. 21 in New York City. Peter works at the Institute for International Education and Missy is the global head of recruiting operations at Bloomberg LP. They live in Queens, N.Y.
Pat Irwin ’17 was highlighted in the article “Helping the kids: Area native volunteers at center in Tanzania” in the Altoona Mirror. It tells of the volunteer work he does at Mother’s Mercy Children’s Center in the Malala Village of Arusha, Tanzania. The children’s center is in an area of extreme poverty, where many children can’t go to the “free” public school system as many schools require parental contributions. To assist these impoverished children, Irwin has set up a sponsor program called the Watoto Wa Baba Simba Education Initiative. “Watoto Wa Baba Simba is Swahili for Father Simba’s kids, named that because the children at the center call me ‘Baba Simba.’ Simba, which is ‘lion’ in Swahili, came about because I often pretend to be a lion when playing with the children,” he explains. Sarah DiMuccio ’15 and co-author Eric Knowles’ article “How Donald Trump appeals to men secretly insecure about their manhood” was published in The Washington Post. Diversey, a cleaning and hygiene technology company based in Charlotte, N.C., has named Mark Burgess ’81 as its new chief executive officer. Mark has served as CEO at several companies including Graham Packaging and Anchor Glass Container Corp. Most recently, he was CEO of Signode Industrial Group, a $2.4 billion industrial packaging company with 88 manufacturing facilities across six continents. Kristin Moffett Corrigan ’97 was promoted to vice president of engagement marketing for Disney Channels and will oversee the teams responsible for outreach campaigns across Disney Channel, Disney Junior and Disney XD, with a focus on paid media planning, social media, event activations and promotional partnerships. 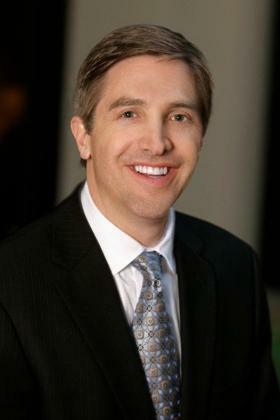 A brand and content strategist for over 20 years, Corrigan joined Disney Channel in 2009. Most recently, she served as executive director of brand development and integrated planning, responsible for managing Disney Junior’s highly successful retail business and franchise development for hit series such as Doc McStuffins, Elena of Avalor, Fancy Nancy and Vampirina, among others. 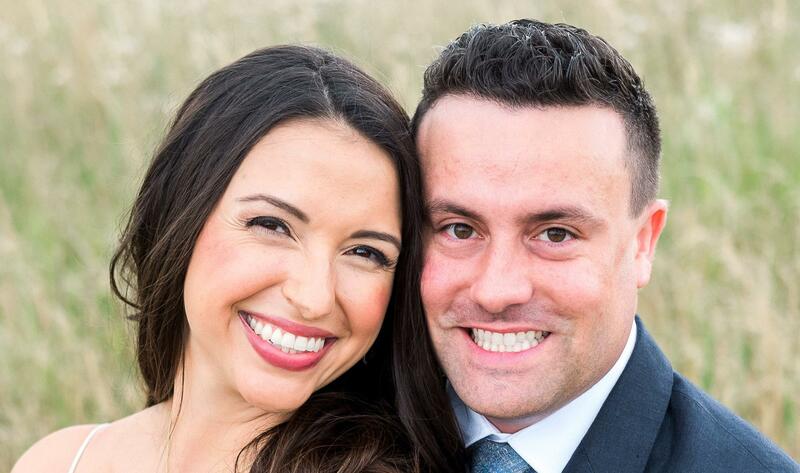 After more than eight years in New Orleans, Zak Rosenberg ’09 and his wife Karen moved to Houston, Texas. Zak joined the law firm of Weycer, Kaplan, Pulaski & Zuber, P.C. as an associate in its transactional department. He will continue to focus on commercial real estate transactions and corporate law. Ted Kohnen ’00 was appointed president of Retina, formerly the Transiris Marketing Agency. He is charged with the integration of a world-class marketing technology offering that includes AI, marketing automation, CRM and business intelligence and data solutions. He formerly worked for global B2B agency, Stein IAS, where he was chief marketing officer and then managing director, overseeing offices in the U.S. and China. Sarah Sozio Osberg ’71 was appointed to the board of trustees as an independent trustee for Seritage Growth Properties. She will serve on the board’s compensation committee. She has worked for 25 years in financial technology development and management the bulk of which was spent at Wells Fargo Bank where she became executive vice president in charge of the newly created Online Financial Services Division. 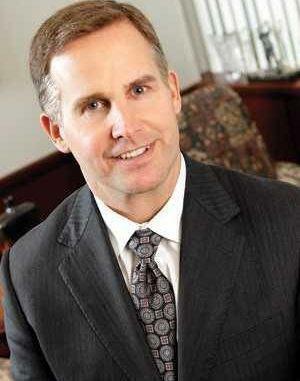 Michael Hirthler ’85 was recognized among the Top 1,200 Financial Advisers in America by Barron’s. The investment publication’s annual list highlights esteemed financial advisers who were assessed on varying factors contributing to the quality of their practice. Hirthler has worked in the financial services industry for more than 30 years and is founder and chief investment officer of Jacobi Capital Management in Wilkes-Barre, Pa., a registered investment adviser. A PDF of class notes from the latest issue of Dickinson Magazine is available through the password-protected Dickinson Gateway.